Learn to Play the Coolest Game on Earth. 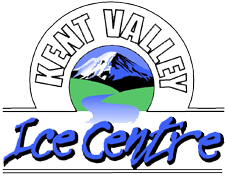 Sharpen your skills during the ice hockey sessions at Kent Valley Ice Centre. Located in Kent, Washington, our facility offers adult, open, and kid sessions for new and experienced players alike, giving you a safe environment to learn the game, practice your moves, and improve your abilities. SPRING PROGRAMS - REGISTER TODAY! Whether you are a seasoned player looking for a competitive team or a new player wanting to learn the sport, we invite you to grab your stick and join us on the ice. Our stick and puck/drop in hockey sessions cost just $13.41 per person and now you can pay online to save time at the window. Our sessions are open to players of all ages and abilities and we even offer free admission for goalies during our adult sessions. For Power Skating and Hockey Private Lessons, click here. Put your skills to the test in our recreational co-ed league. Kent Valley Ice Centre is happy to host Greater Seattle Hockey League, Seattle's largest recreational adult hockey league. The league has games for all ages and abilities, so you can play as casually or as competitively as you like. For more information, please reach out to Andy Cole at (206) 255-6739 or admin@gshockey.com. Stick & Puck/Drop in Hockey schedule is subject to change. Please check back frequently for updated calendars.